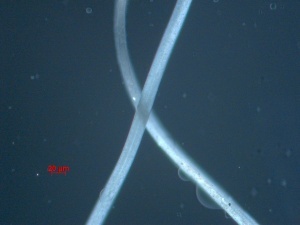 Source: Ohio State University Historic Costume & Textiles Collection, http://fashion2fiber.osu.edu/items/show/1806 Note: in some cases, identification of fiber content is not achievable by a single image alone. 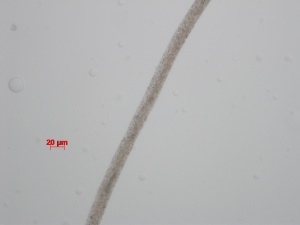 It may be necessary to look at the accumulation of evidence provided by a series of images , each employing different microscopic techniques. 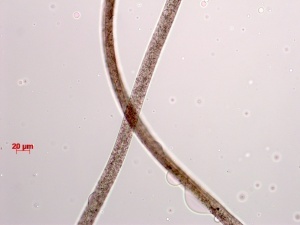 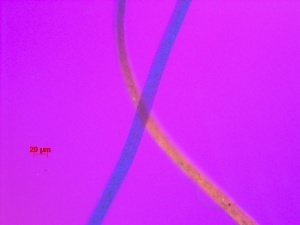 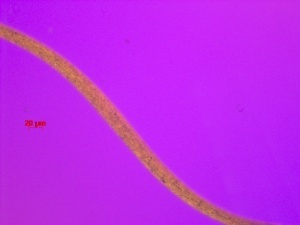 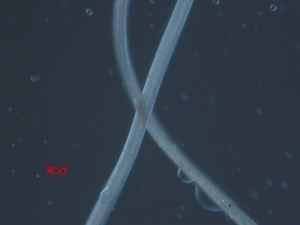 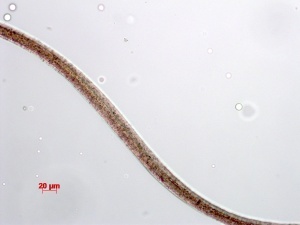 The following set of images were indicative of acetate fiber but this was confirmed by a microsolubility test; a fiber specimen dissolved in acetone. 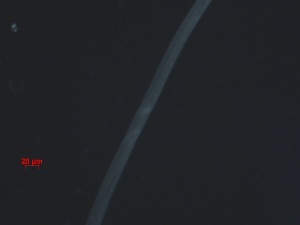 This page was last edited on 25 April 2019, at 19:57.